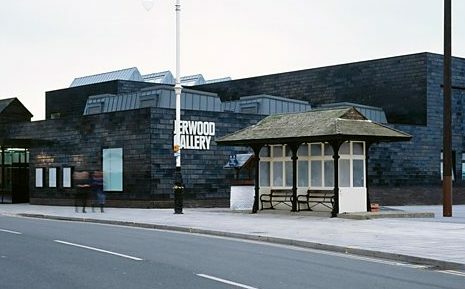 A local event has reached the ears of the national press with reports that the walls of the Jerwood Gallery on the Stade in Hastings may shortly be denuded of artworks following a dispute between the Jerwood Gallery management and the trustees of the Jerwood Foundation. The Foundation which built the £5 million facility has been funding the gallery to the tune of £2.6 million since it opened in 2012. However, it took the step in 2016 of informing the management that it would not continue its funding beyond this current year. The dispute apparently centred around a perceived failure on the part of the gallery management to seek out and attract alternative funding from third parties, although an Arts Council grant of £100,000 had been negotiated. According to Alan Grieve, the Foundation’s chairman, a suggestion that the gallery appoint an executive director with a business background was not accepted. The Jerwood Gallery became a registered charity two years ago, apparently seeking to distance itself from the Foundation’s oversight. Relations deteriorated further with the appointment of solicitors by management in an attempt to pressure the Foundation into continuing the previous level of grant. The Foundation has reportedly issued a repossession notice in respect of some 300 art works including some by artists of the stature of Stanley Spencer, John Piper and Barbara Hepworth. The gallery will continue as tenants of the building, under management headed by its director Liz Gilmore and chairman David Pennock. A spokesperson for the gallery, who emphasised that its trustees were committed to keeping the space open, said: “Disengagement discussions between the foundation and the gallery include the departure of the Jerwood collection from the gallery. The gallery has built a name for itself through its temporary exhibitions programme, often in partnership with national institutions such as Tate and the National Gallery. 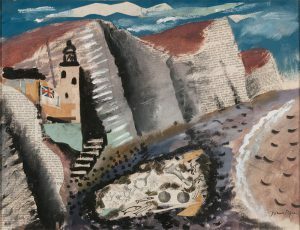 Editor’s note: On the principle of “its an ill wind etc” one wonders whether the possible loss of the Jerwood Collection in Hastings might have a beneficial knock-on effect for the Rye Art Gallery. As one of only a few major galleries in the area and with a permanent collection containing many major artists, it is likely to extend its attraction to a wider public. The current exhibition of items from the permanent collection continues until February 24. The withdrawal of the permanent collection at the Jerwood is no bad thing. It creates a lot more space for new work which would bring in more people. Perhaps the Jerwood should consider having “selling” exhibitions in a similar way to Rye Gallery in order to raise money then perhaps they could scrap the entrance fee or at least reduce it to attract more visitors. Liz Gilmour and her team have worked hard to make Jerwood Hastings a vibrant and dynamic arts venue for artists, the local community and beyond. It is a success story for galleries and Hastings. I am very disappointed that the Jerwood Foundation have decided to withdraw their collection and support at a time when they should be sharing in this success, increasing their funding and looking for partners to ensure the gallery’s sustainability.